Black Friday is less than a week away! Do you have your shopping lists ready for one of the biggest shopping days of the year? It’s still a fairly new concept to me. I learned about it a few years ago when I first started blogging and all my American friends were talking about all the awesome deals they found on Black Friday. It has traditionally marked the beginning of the holiday shopping season beginning the day after American Thanksgiving. Thankfully, Canadians don’t have to do any cross-border shopping to take advantage of the rockin’ Black Friday deals anymore. There’s a ton to be found right here in Canada! One store that I plan to visit is Target Canada. We’ve got a couple stores in the Halifax area and I know my mom shops at their Ottawa location quite a bit. I remember how excited I was when I first heard the news a few years ago that Target would be coming to Canada. We always shopped there when we visited friends in the USA because of the wide selection of products and unbeatable deals. My parents and John asked me what I wanted for Christmas and I told them I’d make them a list to help them when they are out shopping. We are renovating our entire house so I’ve been looking for gifts for the home that will help to complete the final look. 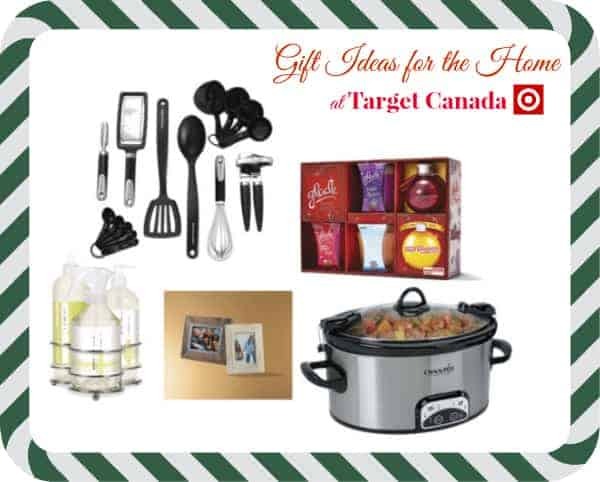 The products I selected are all found in the Target Canada holiday catalogue and they’ve got a good range of products in various categories to check out. For gifts for the kiddos, check out their toy catalogue. 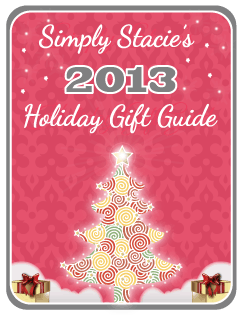 The total of all the gift ideas I selected below is under $150! I love how affordable it is to shop at Target Canada. KitchenAid 15-Piece Tool & Gadget Set in Black ($39.99): Many of my current kitchen tools are old and tired. This KitchenAid 15-Piece Tool & Gadget Set from Target Canada would be the perfect addition to my newly renovated kitchen (which should be done by the holidays!). I love the KitchenAid brand for its quality and durability and you really can’t be the price! Crock-Pot 6 QT Programmable Polished Metal Slow Cooker ($59.99): The cold weather is here to stay and there’s nothing like a house filled with the scents of a delicious meal simmering all day in a crock pot. This gorgeous slow cooker would take up a permanent residence on my countertop and would get lots of use during the winter months. Caldrea Kitchen Essentials 3-Piece Kitchen Set ($22.99): I would set this handy 3-piece kitchen set from Caldrea Kitchen Essentials beside my sink for easy access. It includes dish soap, countertop cleaner and hand soap. Glade Holiday Candle Pack with Fruits & Passions ($9.99): I adore candles and how inviting they make a room feel (and smell). This candle pack is an excellent stocking stuffer gift idea. Horn & Bone Ivory-Layered 4 x 6 Table Top Frame ($12.99): I had to throw out a bunch of old picture frames recently that were damaged when we moved to Nova Scotia. I love the ivory coloured frame and think it would be a gorgeous way to showcase our photos in our living room (yes, that is under renovations too!). You’ll also be able to get more gift ideas and learn more about the Black Friday deals at Target Canada at their #BlackFridayCA #MyKindOfHoliday Twitter Party on Monday, November 25 at 8:30 pm EST. Check out the Twitter party info post to learn more and to RSVP. Visit Target Canada to find the store closest to you. Have you made your shopping list yet for Black Friday? What gifts are you looking to buy this year? Join the Target Canada #BlackFridayCA #MyKindOfHoliday Twitter Party on 11/25! So excited for Black Friday. Looks like Target has some awesome deals! Oh fun fun!! So excited! I will be there! This is great – Black Friday – it’s not just for the States anymore! Love Target. I do a lot of shopping there. Love that kitchenaid set. I could use a good crock-pot as well. Hoping to find some good deals for black friday. Target JUST opened here in Stratford. So excited! I am not a Black Friday shopper unless I can do it from home…lol Love the KitchenAid Set, I might have to put that on my Christmas list.